Well, why don’t you check out Ros’s home from My Friend’s House? | well why don't you…? Well, why don’t you check out Ros’s home from My Friend’s House? 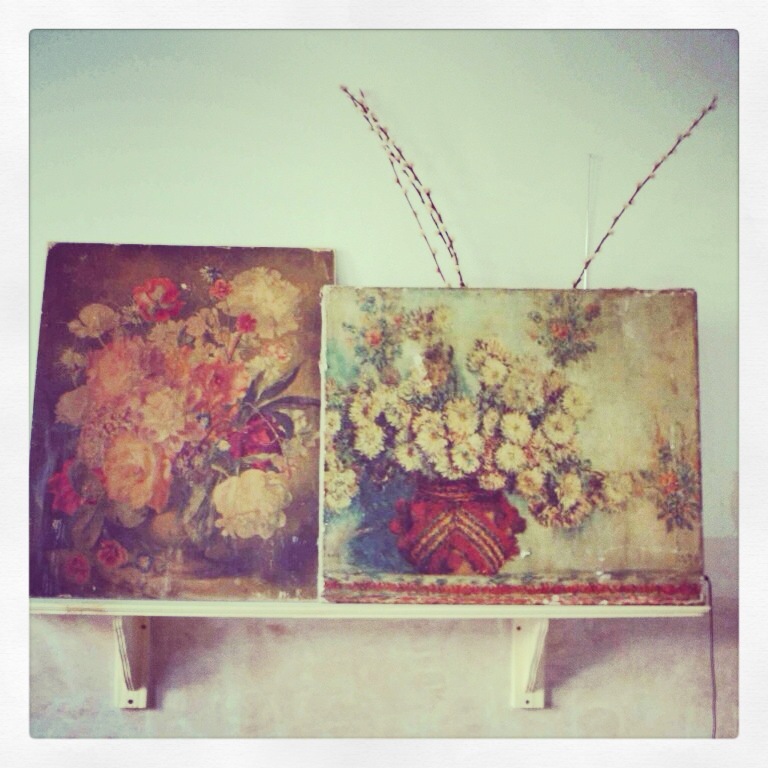 I recently asked Ros and Jill of My Friend’s House to share their ideas on art in homes. My Friend’s House is a blog based mainly on interior design. The ladies have excellent style and wit, and I was very excited when they agreed to answer our questions. Hannah and I are interested in how interior designers choose art for themselves and clients. First up is Ros’s responses and a couple of shots of the art in her home. I love her vintage art finds, and recently became on the hunt for some older and affordable oil paintings for my sister. Ros gave me some good tips. Thank you Ros! Where do you buy your art? I primarily buy my art in junk shops and jumble sales. I don’t have much to spend and so it means I can have the pleasure of being impulsive – I’m only spending a fiver so I can snap up something when I see it. I am looking both for pieces that will fit with rooms I am decorating or ideas for collections of art that I have, and also of course I’m always looking for something that I find beautiful for its own sake. What draws you to a certain piece? A colour, mood, sensibility, composition. It’s hard to say specifically. I am also very drawn to images of certain things – the sea would be one, or water. I also remember clearly little prints and paintings in my grandma’s house that she will have bought for pence in sale rooms. I think some of those scenes, often of gardens, plants or portraits, are still what I look for now. Do you have a favorite piece of art? What is it? It changes all the time, but or now I’ll pick the first piece of real art I bought straight from an artist, Jill Pantony. 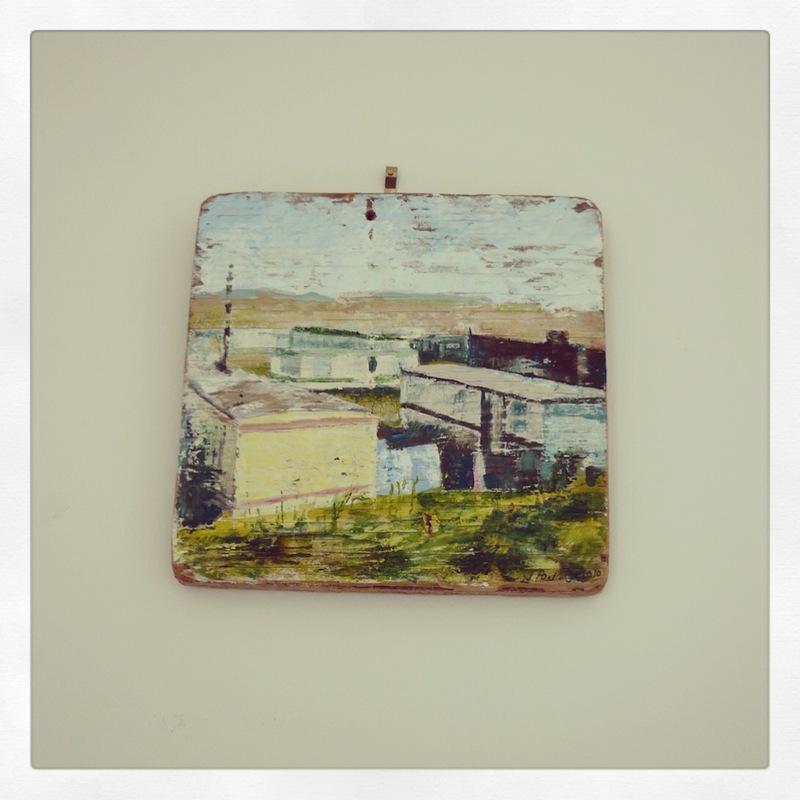 It’s a painting of caravans on a square of driftwood. The artist lives in Margate, where I have a flat, and the caravans are on a nearby bit of coast that I also know well. I saw it on a blog about her house, and couldn’t stop looking at it! When I emailed her she said it was for sale, so I went to her house to look at in the flesh. It’s up in Margate now. Why is art important in the home? Twofold I think, for me. One is that art adds warmth, visual interest and layers to an interior. That’s a very unartistic thing to say, in a sense! For this I would tend to chose graphic prints or illustrations rather than art. The other purpose, fulfilled by art, is more contemplative. Something to look at, and that gives you are a particular feeling. Like putting a portal to another place or mood into a room. How did you decide to display your art? Did anyone need to help you install? Gosh no. Bang a nail in the wall and hang it up. Actually it’s useful to have a willing assistant who can hold things up while you stand back and ponder before committing to putting something in a certain place. If you could have any piece of art in the world, what would it be? Why? One of the great Cornish Modernists. I’m from West Cornwall close to St Ives and those painters’ kids and grandkids were my contemporaries at school. So perhaps an Alfred Wallis, or a Terry Frost. Pink Quay 1956 maybe. ← Well, why don’t you go for scarlet?